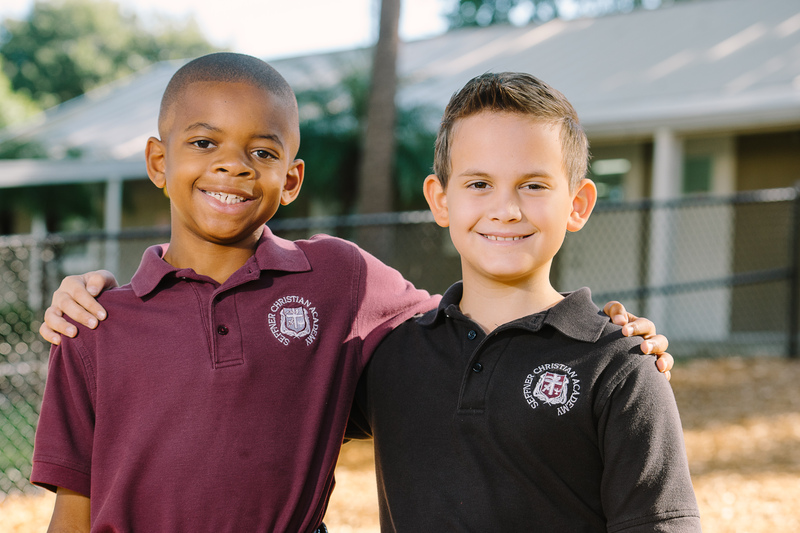 Seffner Christian Academy believes in educating children not only academically but also spiritually, socially, physically, and emotionally. The students are taught in a classroom setting using a variety of teaching modalities so each child is able to develop their skills and talents. Our comprehensive curriculum is combined with hands-on activities that reflect God as the source of all knowledge, truth, and understanding. It is our vision to address the individual needs of our students and to maintain an active learning environment. Seffner Christian Academy desires to develop the God given abilities He has provided our students. Our elementary teachers endeavor to accomplish this in a cheerful, pleasant learning atmosphere. Every effort is made to promote a love of learning in our students as well as a love for our Savior. The elementary program provides a strong, core curriculum of Bible, math, reading/phonics, grammar, spelling, history, and science. Students also participate in a variety of special classes such as art, music, library, computer, and physical education. The science coach meets with kindergarten through 3rd grade classes every week to instruct our students in scientific concepts and provide an opportunity for students to participate in experimentation. Elementary teachers establish writing strategies that improve student writing. Technology is utilized extensively in the classroom with the use of SMARTboards, ELMOs, Apple TVs, and iPad labs. Kindergarten through second grade students have one iPad for every two students, and in third and fifth grade, every student has an individual iPad for classroom use. Our technology coordinator provides support for teachers as they enhance traditional learning with technology. At Seffner Christian Academy we strive to develop a consistent Christian philosophy by integrating all subjects with the Bible. Our experienced teachers with a Christ-centered worldview work together with parents to build a firm foundation for learning. Most importantly, the school's desire is to develop a spiritual foundation that will give true meaning to everything they learn. Want to know more about the exciting things our Elementary program has to offer? Click here to contact our Admissions Director to schedule a tour.